Below you will find the English translation of the whole chapter “Migration” in the coalition contract between the parties CDU, CSU and SPD. This contract will form the basis of German migration policy and its laws until 2021 or possibly 2022. It will also have a direct impact on the European Union‘s migration policy. We from LMNB translated the text into English with the help of the online translator www.DeepL.com and then proofread it. In case of errors please contact us. Weiter unten findet ihr die englische Übersetzung des gesamten Kapitels “Migration” im Koalationsvertrag der Großen Koalition zwischen den Parteien CDU, CSU und SPD. Dieser Vertrag wird die Grundlage der deutschen Migrationspolitik und deren Gesetze bis zum Jahr 2021 bzw. eventuell 2022 bilden. Zudem wird dieser Vertrag direkten Einfluss auf Migrationspolitik der Europäischen Union ausüben. Wir von LMNB haben den Text mit der Hilfe des Online-Übersetzers www.DeepL.com ins Englische übersetzt und dann korrekturgelesen. Bei Fehlern meldet euch bitte bei uns. 4796 – Germany is committed to its existing legal and humanitarian obligations. We will not touch on the fundamental right to asylum: we are firmly committed to the right to asylum and to the catalogue of fundamental values contained in the Basic Law, The Geneva Convention On Refugees, the obligations resulting from the EU’s right to process every asylum application, The UN Convention On The Rights Of The Child and The European Convention On Human Rights. 4803 – We are proud of our country’s integration performance, especially its diverse volunteer work in the cities and communities. We agree that the integration capacity of our society must not be overtaxed. The ability to integrate is not only determined by the way in which immigrants are admitted and integrated into society, but also by our aspiration to take into account the living conditions of the people living here, especially in view of the immigration that has to be managed (e. g. provision of day-care centres, schools, dwellings). 4812 – That is why we are continuing our efforts to manage and limit migratory movements to Germany and Europe appropriately with a view to society’s ability to integrate, so that a situation such as 2015 does not recur. 4817 – With regard to the average number of immigrants, the experience of the last twenty years and the measures agreed and the directly manageable part of immigration – The Fundamental Right To Asylum and the Geneva Convention On Refugees (GFP) remain untouched – we note, that the number of immigrants (including war refugees, temporarily protected persons, family latecomers, relocation, resettlement, minus repatriations and voluntary departures of future refugees and without labour migration) will not exceed the range of 180.000 to 220.000 annually. The following package of measures also serves this purpose. 4827 – A commission of the Federal Government is to be set up, which will deal with The Framework Conditions Of Integration Capacity and submit a corresponding report to the German Bundestag (Parliament). We are strengthening migration and integration research. 4832 – We want to fight the causes of fleeing, not refugees. – a restrictive arms export policy. 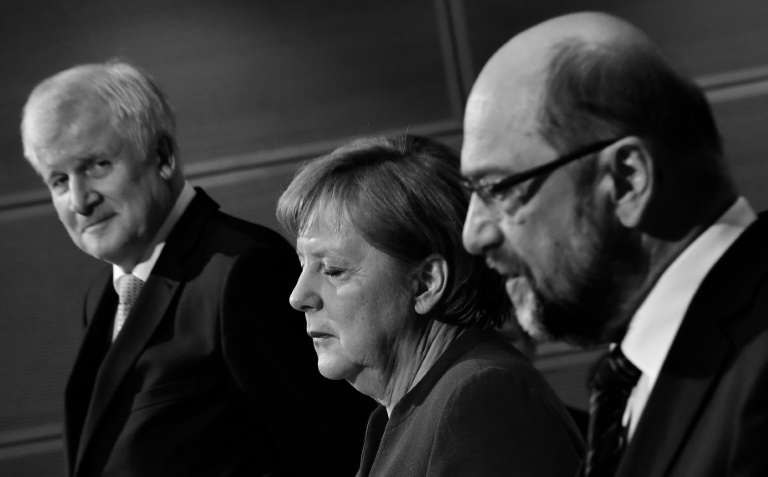 4844 – We will establish a commission on “Causes of Fleeing” in the German Bundestag, which will make concrete proposals to the Federal Government and the Bundestag. 4847 – We advocate a common European asylum system and are therefore actively involved in the process of reforming the Dublin procedure. A fair distribution mechanism for those in need of protection, the issue of human rights in third-countries and the principle of the first country of entry for asylum seekers must play a major role here. It must be clear that an indefinite appeal to another country of first-entry is not possible. The question of establishing the unity of the nuclear family will have to be taken into account when defining the right of self-management. For distribution to work in practice, there must be effective mechanisms to prevent secondary-migration. 4855 – To this end, we want in particular to harmonise asylum procedures, including standards for the provision and accommodation of asylum seekers, and to ensure that full benefits are only granted in the assigned EU Member State. In this sense, the Federal Government will coordinate its position at EU level in the negotiations. This also applies to joint implementation of asylum procedures, mainly at the external borders, and joint repatriation from there. European Human-Rights-Standards are observed. 4864 – We support an EU policy to prevent criminal traffickers and smugglers from deciding who comes to Europe. We want to exclude incentives that result from minors being sent off on the dangerous journey by their parents at the risk of endangering the best interests of the child. 4869 – We want to further expand our cooperation with UNHCR, IOM, countries of origin and transit. Ensuring Freedom Of Movement within Europe requires effective protection of the European external borders. To this end, we want to develop Frontex into a genuine border police force. Until the protection of the EU’s external borders functions effectively, internal border controls are justifiable. 4875 – We support European decisions on the distribution of refugees (relocation) and make an appropriate contribution to admission quotas for those in need of humanitarian protection (rescue clause). However, the scale of this legal access, for humanitarian reasons, must depend on the size of the access for all those seeking humanitarian protection. 4881 – With regard to the question of Family Reunification, reference is made to the law extending the suspension of family reunification to beneficiaries of subsidiary protection. Details are regulated by a federal law still to be enacted. 4885 With regard to this regulation on family reunification in the case of subsidiary protection from 1 August 2018, it has been determined that the inflow is limited to 1,000 persons per month and that the Hardship Provision (Härtefallregelung) in accordance with §§ 22 and 23 of the Residence Act applies beyond this quota. The further elaboration of the law is the responsibility of the coalition parties and their parliamentary groups. – a departure is not expected in the short term. 4897 – 2. with the new legal regulations we want to avoid incentives for minors to be sent forward by their parents on a dangerous journey in the future, at the risk of their parents. Our country needs a large number of suitable and qualified specialists. No job should remain unfilled because of a lack of skilled workers. We have already considerably improved and simplified the recruitment of skilled workers to Germany in recent years. This demand is expected to increase in the next few years due to our good economic development and the declining number of young people entering the workforce. 4914 – For this reason, we will work out a set of rules for managing immigration into the labour market and the associated right of residence and return in a legal framework oriented to the needs of our economy. Such a law will bring together the existing regulations, make them more transparent and, where necessary, make them more efficient. 4920 – Decisive factors for moving to Germany are the needs of our national economy, qualification, age, language as well as the proof of a concrete job and the securing of income. 4924 – We understand skilled workers to be both university graduates and immigrants with qualified professional training (Berufsausbildung) or pronounced practical professional knowledge. An equivalence test of the professional or academic qualifications of the skilled workers should be carried out without long waiting times. Priority is not given to a Priority-Examination (Vorrangprüfung) unless the state governments in districts with high unemployment do not wish to adhere to the priority examination. This does not affect the examination of working conditions for equivalence by the Federal Employment Agency (Bundesagentur Für Arbeit.). 4933 – With a cleverly managed immigration policy for skilled workers, we support the creation of jobs in Germany and noticeably reduce the attractiveness of illegal and uncontrolled immigration. People with an immigrant background belong to our society and shape it. Their representation at all levels in companies, social institutions and above all in the public sector must continue to be improved. 4947 – We will bundle the diverse integration measures in a nationwide strategy based on the principle of “demand and support”, bring greater transparency into the network of existing integration measures, significantly improve coordination between the Federal Government, the Federal States and municipalities and therefore achieve a more efficient perception of existing responsibilities. We want more success control and will intensify integration research and measurement in the sense of a real integration monitoring in order to make visible the successes of integration policy and correct undesirable developments at an early stage. 4956 – For example, we want to improve participation in healthcare provision (especially in the nursing care sector) especially for the first generation of migrant workers in the 1950s and 1960s, irrespective of their cultural origin and status. With a view to preventive and early detection measures as well as rehabilitation, the stakeholders in the health care system should increasingly present multilingual health-promoting services that actually reach those affected. 4963 – We will ensure continued funding of the ongoing measures to relieve the burden on countries and municipalities with regard to refugee costs (integration lump sum, accommodation costs, unaccompanied minor refugees) in the years up to 2021 with a total of a further EUR 8 milliard and redesign them more efficiently together where necessary. We are examining additional financial incentives for voluntary community involvement in successful integration work. 4970 – We are committed to integration for those with a long-term perspective. This includes language and work. The integration courses introduced in 2005 are the central starting point for all further integration steps. We want to further improve the quality and efficiency of these courses, especially with a view to better target-group orientation. A greater differentiation of courses according to previous knowledge is necessary. We will demand greater participation in language learning. We want to provide additional impulses for language acquisition, expand assistance and make consistent use of sanctions. In addition, we also want to take advantage of the opportunities offered by digitalisation in integration policy and make digital offers for orientation and integration courses possible. Finally, we want to remove the provisions of the Integration Act and evaluate the residence regulations in a timely manner. 4983 – We want to standardize the conditions for access to training and career preparation services and harmonize them with legal access to the labour market for tolerated persons (Duldung). At the same time, particularly those who are not expected to leave the country in the short term should be offered opportunities for language learning and employment in accordance with the principle of promoting and demanding language learning and employment. To this end, a proposal is to be drawn up on how this group can be granted access to language courses and employment without any consolidation of residence rights and equality with those who have a legal residence perspective. 4993 – For those who have been tolerated for many years and who meet the integration requirements in terms of § 25a and b of the Residence Act, we want to develop improvements and simplifications for residence, training and labour market integration. In this way, we also want to provide clarity for those affected with regard to their future in Germany. 4999 – We want to apply the 3+2 regulation for apprentices uniformly throughout Germany. This regulation aims to provide access to qualified professional training with toleration. This objective must not be undermined by the excessive application of employment law for tolerated persons. We also want to apply this regulation to state-approved helper training, as far as a qualified training in a deficient occupation is able to follow. A training commitment must be available. In all this, we want to avoid additional burdens on social security systems. People seeking protection in Germany need asylum procedures that are handled quickly, comprehensively and legally. In future, their processing will be carried out in central reception, decision-making and repatriation facilities in which BAMF, BA, youth welfare offices, the judiciary, foreigners’ authorities and others will work hand in hand. Arrival, decision, local distribution or repatriation (AnKER) should take place in the ANKER facilities. An independent and comprehensive counselling of asylum procedures must be guaranteed. An agreement is reached between the Federal Government and the Federal States on the question of competence and sponsorship. 5018 The Federal Republic of Germany has made a unique humanitarian commitment in recent years. We offer protection to people affected by war and persecution. We have the right to know who wants to live in our country; for this purpose there are special obligations of cooperation by the arriving people. First of all, this concerns the comprehensive identification: name, origin, age, fingerprint. If the identity is unclear, we would like to expand the possibilities for the authorities to ascertain the identity of the person concerned and more effectively counteract any misrepresentations. The comprehensive identification determination takes place in the AnKER facilities. 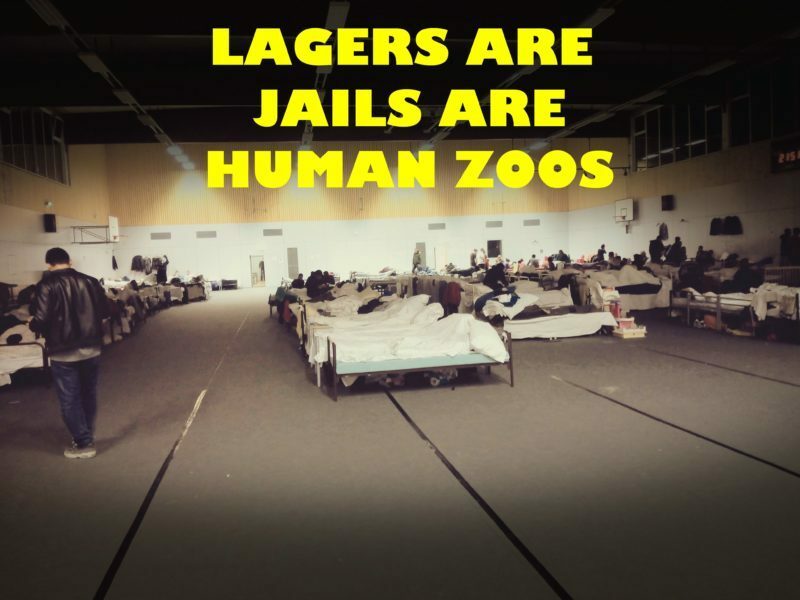 5027 – After the age rating, unaccompanied minors are taken into custody by the youth authorities and adults remain in the ANKER facilities. If there is any doubt as to whether they are young people or adults, the age rating is determined by the responsible youth welfare office with the participation of BAMF in the AnKER facilities. 5033 – In order to preserve the chance of successful integration and to comply with European legal requirements, the obligation to remain in the AnKER facilities must be limited in terms of time and quality. As a rule, the period of residence should not exceed 18 months in both the host institutions and the AnKER institutions (§ 47 Paragraph 1a and 1b Asylum Act remains unaffected by this) and, in the case of families with under-age children, as a rule, six months. All in all, gender- and youth-friendly accommodation must be guaranteed. 5041 – We aim to divide up only those municipalities where there is a positive prognosis for the future. If possible, all others should be returned from these facilities to their home countries within a reasonable period of time. 5045 – At the latest three years after a positive decision has been taken, a review of the granted protection is required. Binding obligations to cooperate on the part of the parties concerned shall apply to this test procedure. For this purpose, teachings are to take place. 5049 – Enforceable persons obliged to leave our country. Voluntary return and consistent deportation are essential. Voluntary return has priority. We want to further reduce existing obstacles (e. g. determination of identity, acceptance by the countries of origin, passport replacement procurement, work of the Potsdam Clearing House, ZUR). We are launching a quality offensive for the work of the Federal Office for Migration and Refugees. 5056 – In the interest of those who are really in need of protection and acceptance among the population, we want to make a greater distinction between those who are obliged to leave the country, whether they are prevented from leaving the country through no fault of their own, or whether they have to be attributed the missing possibility of enforcing their obligation to leave the country. This distinction also has consequences, for example with regard to the purchase of services. We will meet the corresponding need for change. 5063 – The Federal Office for Migration and Refugees must be informed as early as possible about the initiation of criminal proceedings. To this end, we will amend § 8 Paragraph 1a of the Asylum Act. 5067 – Anyone who abuses his right of residence to commit crimes must leave our country. This also applies to cases of social benefit fraud and violations of the Narcotics Act, insofar as these have led to a conviction of at least one year. 5072 – We will make deportation detention and custody pending deportation, including the appeal proceedings, more practicable, lower the conditions and determine them more clearly. The aim is to significantly increase the feed-in quotas for repatriation measures. 5077 – For the purpose of speeding up procedures, Algeria, Morocco, Tunisia and other countries with a regular recognition rate of less than five percent are designated as safe countries of origin. This does not affect the individual’s right to be examined on a case-by-case basis. At the same time, special legal advice is provided for special vulnerable groups of refugees, taking into account their special protection worthiness. © 2019 LMNB - Lager Mobilisation Network Berlin.